UFO Reporting Center, Latest UFO Sightings & News. UFOs Northwest is your UFO Reporting Center and contains the Latest UFO Sightings, UFO news, videos, photos, sketches and recorded witness interviews. William Puckett Was Guest on the Paracast & Discussed UFO Sightings. Show Was Recorded on April 11. Click Here to Access Broadcast. Slowed Video Clip (YouTube) Shows Unknown Object by Helicopter. PHOTO COLLAGE OF MULTICOLORED LIGHTS. 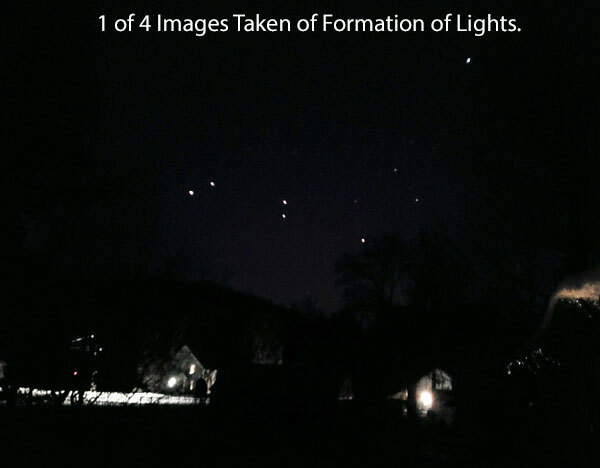 1 of 4 IMAGES TAKEN OF FORMATION OF LIGHTS. Witness Posted the Above Video on YouTube. 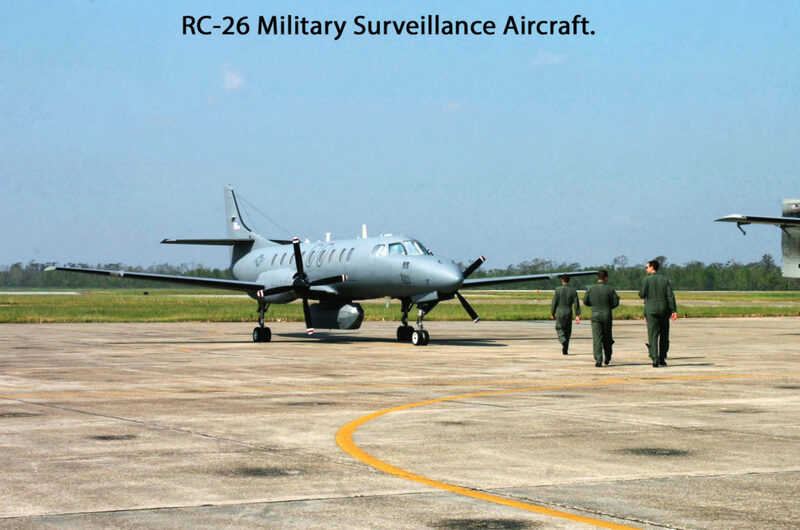 PHOTO OF RC-26 MILITARY SURVEILLANCE AIRCRAFT. 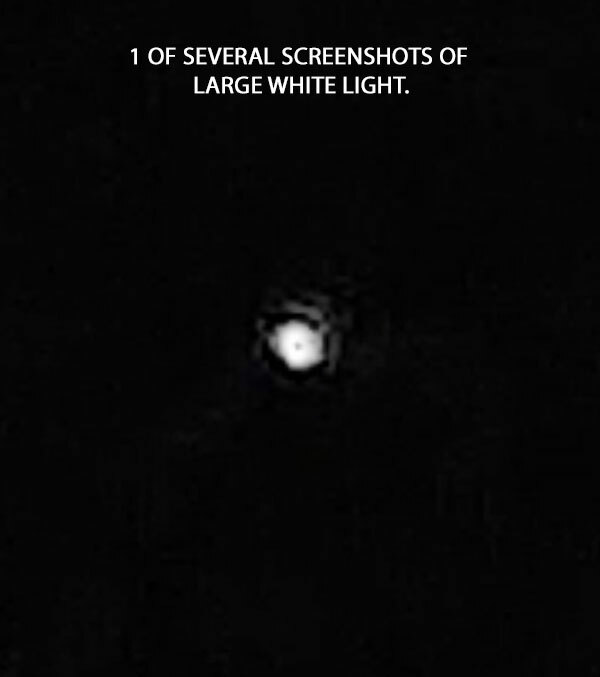 1 OF SEVERAL SCREENSHOTS OF LARGE WHITE LIGHT. Description of UFOS Northwest: Based in the Pacific Northwest in Helena, Montana we’re the national UFO reporting center that not only seeks to find the truth about the UFO phenomenon, but share our results and our investigations with the public. For far too long, our citizens have literally been kept in the dark by those government and research agencies that have been assigned the task of gathering information about these unexplained events. While most alien sightings can be explained by natural occurrences, some UFO reports are in fact credible, suggesting the presence of other forces, beings or scientific phenomenon heretofore undefined by current technology and conventional understanding. Join us as we seek to apply rigorous standards of scientific research and analyses to pursue these latest ufo sightings, and the possible meaning behind them. 53 Responses to UFO Reporting Center, Latest UFO Sightings & News. About the reported UFO landing near Dillon, Montana, August 14, 1870: One thing I should make clear about the reported UFO boarding of a hovering UFO near Townsend, Montana in early May of 1940 was that the 37-year-old miner Udo Wartena said he boarded a hoving UFO and talked for 2 hours with 2 humanoids. (This site was about 375 miles north of the 1870 Dillon, Montana reported UFO landing). Udo Wartena was a Mormon missionary. Mormon history accounts describe how 3-year serving Mormon missionaries believe in other worlds out in space that have inhabited beings and that a celestial New Jerusalem space city some 1,500 miles long and wide will come down from God out of heaven to Earth with celestial beings inside. Mormons also believe in a created Earth that obeys the laws of a celestial kingdom and fills up the measures of its creation by the Creator. If the Warren Aston account of Mormon missionary Udo Wartena boarding a hovering UFO near Townsend, Montana, early May of 1940, is true as Udo said and left typed and written accounts saying that his account was true, then on this basis one would tend to believe that Udo’s account was true as he said and wrote was true. Udo’s 1940 Montana contactee case does seem to lend weight to the 1870 Montana case some 375 miles south of Udo’s contact near Townsend or the site near Dillon, Montana. & Investigation”? I really honestly adored the blog post! 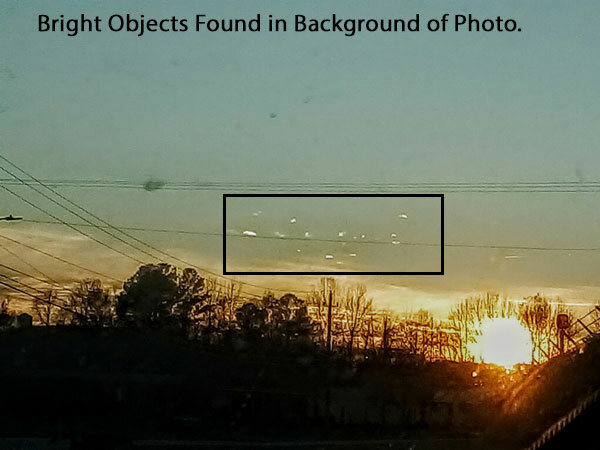 You say UFOs Northwest looks into UFO pictures or anything sent in that is not of the every day in the sky craft? 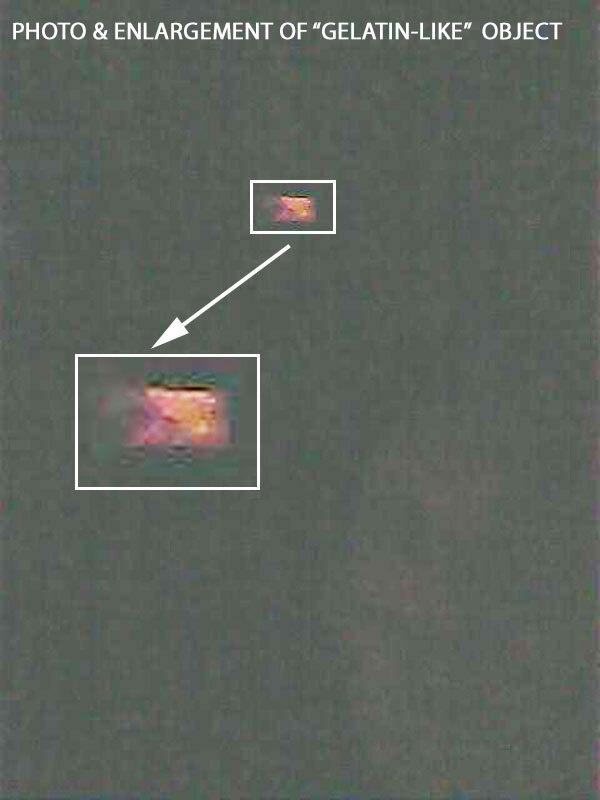 I say what about 10-5-2011 a real something and what do I get from UFOS NW (nothing). What did I get from MUFON (nothing). It was something real and you drop the ball. I found your photos and report intriguing. While trying to do a bit of my own investigating I happened upon your site today! I had read through a bit of the older site first, then came to this one. I am really impressed and I like all the different perspective being put out here. I know you have hundreds of e-mails a day, however, I was wondering if you posted every experience e-mailed to your site, or if you were also okay with just discussing some experiences with people? Thanks for the compliments. I don’t have time to post all reports. I don’t take many phone reports because they are more work to post. I don’t really care for you to post my experience unless you felt it was something you wished to do. A few years back I had this particular experience that I have never been able to explain, and I have done a lot of searching. I thought maybe e-mailing you guys might help me get a different perspective. I didn’t want to bombard you with anymore e-mail, so I had to ask first. We appreciate your understanding. We tend to focus on recent reports as they are easier to investigate. We are only able to post around 60% of those cases. Of course, that makes perfect sense. I don’t really care for my experience to be posted, I just want to see if you guys might have heard of what I experienced. I will most likely e-mail you soon then. Thank you for your quick and direct responses! Sounds good, Red. Send us your story. I saw 16 to 20 Reddish-Orange glowing orbs today at about 9:50 PM CDT over I294 outside of Chicago, IL near the Hinsdale Oasis. People were pulling over taking pictures and videos. I hope that someone posts these soon. I was only recently on your old site. I had no idea that you had a new one as there was no link or any info provided to indicate a change. I also wrote two letters to your listed e-address and received no response. Naturally I assumed the site had been abandoned. I only found this new version by happenstance. This does not give me confidence in your professionalism and after reading some of the reports, several with obvious errors (That is; clear hoaxes) I doubt your investigative abilities. I have added a link to the new site. That was an oversight on my part as most people delete their “cache files,” which means that you would have found my site by simply typing in the URL (www.ufosnw.com). Apparently you don’t delete your cache. As to my not replying to your messages, I get hundreds of messages a day. I only have time to post about 30% of reports that I receive. I am a “volunteer” and I don’t do this for money. Maybe you don’t understand that. As to your point about cases being hoaxes well some are. If you are so good at investigating why don’t you start your site! 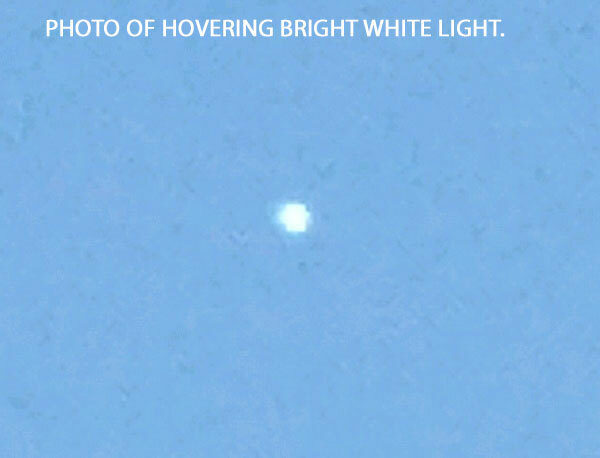 Did anyone see the UFO video of Wilbur, Washington recently for august 2,2012? Can someone please post a video of it? Thanks! I haven’t heard of any UFO video in Wilbur, WA. There was a crop circle photographed in late July, 2012. 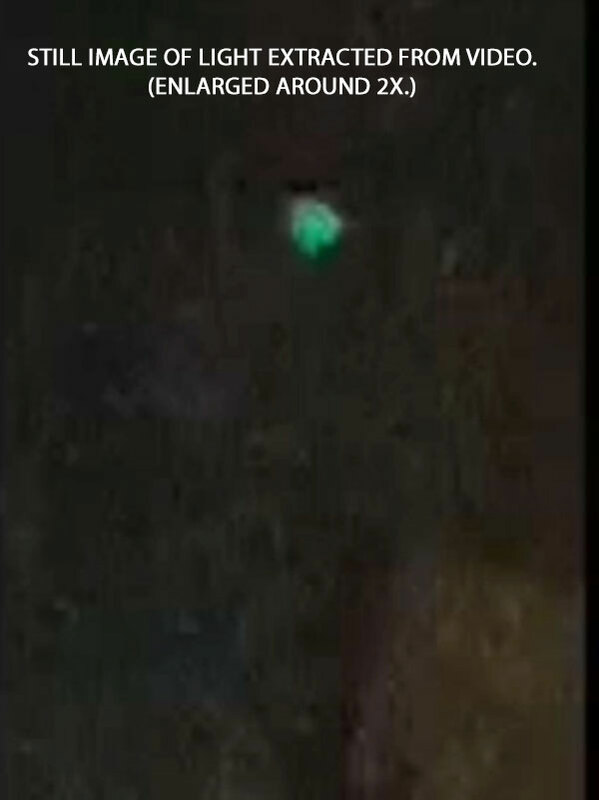 I think that highly suspect photo is a 24-led-UFO torch camping light that commonly hangs in a tent. You can google for the image. There is a center circle hole where the hanger insert is to dangle the light. I happen to like the 48 light model myself and also use the kind that goes around a beach umbrella pole (as rain cover for video camera and lighting) when on gigs. My husband and I were driving home last night and saw a strange orange orb in the sky in Marseilles, IL at about 10:30 PM. The orb mysteriously vanished. Thanks for your patience. The web site is really nice. I was completely surprised that my pictures look that nice. It couldn’t look no better than that. Your web site is a blessing to us. Thank you again. PS I will not bug you again. it’s a blessing you are there to help us. thank you so much. I have pictures that match the first three and also the California, Nevada and Texas one. They were taken in Greeneville TN. Please take some time to check out the following You Tube channel: whotookmymojo. 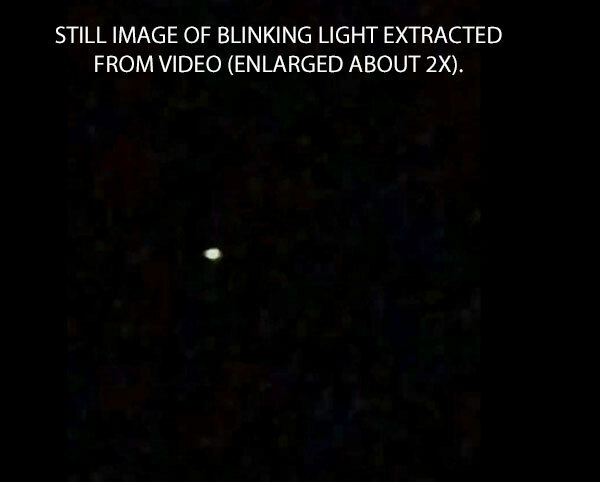 This is a 55-year old man who claims to be from Oregon who has been capturing video of apparent ET contact about 2 years. He has been documenting visitation by some type of intelligent beings since late 2010. 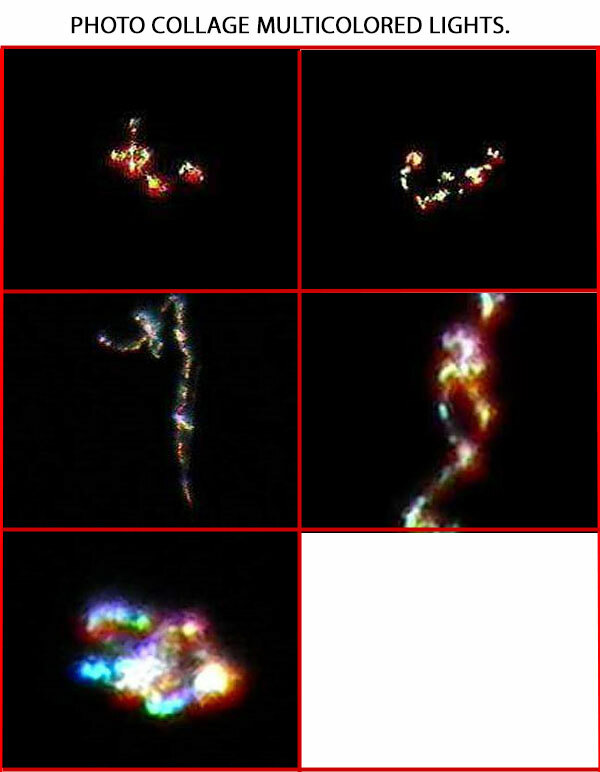 These beings appear to travel in some type of unknown flying objects that are LANDING ON OR NEAR THE GROUND. 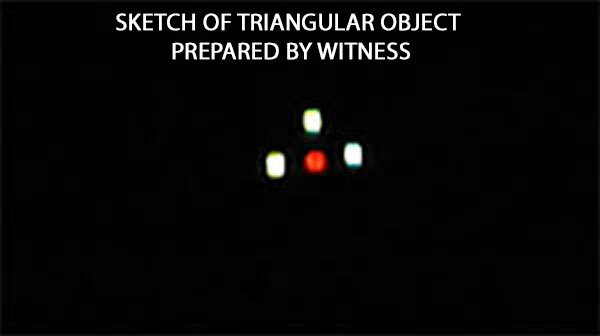 The videos show orbs and solid material crafts, both in the air and at or very near ground level. The occupants of these crafts seem to be a diverse group working together on some kind of reconnaissance or scientific research mission. 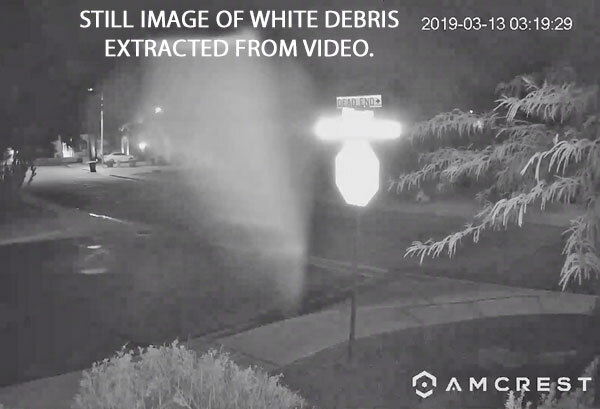 The screen shots I have taken from the videos (see attached files) appear to show the infamous grey, humanoid forms, and what can best be described as beings of light or plasma entities. history, etc. ). Thanks ! Thanks for your comments. I intend on including info from my old site. The old format was too burdensome to maintain. The information will be on my new site, but it will take me some time to do the conversion. which may be a first for a UFO reporting site. at that street location will appear. Thanks. This is a good suggestion. Where are the photos now? I can’t find them under any headings and they are not showing up with the individual posts as they use to. Most of the recent posts don’t not contain photos. You can click on media and then “Cases With Photos.” All reports that have photos will show up. The major difference between the old and new site is that I only had time to post photo/video cases on the old site. On the new site I am posting everything! You are actually a good webmaster. The site loading pace is amazing. It kind of feels that you’re doing any unique trick. Moreover, The contents are masterpiece. You have done a wonderful activity in this topic! Very well put together site, simple but efficient. I think I just found where I’m going to post all my sightings 🙂 Is anyone from Vancouver Island (Canada) seeing what I’m seeing? Contact me! We accept UFO reports all around the world. 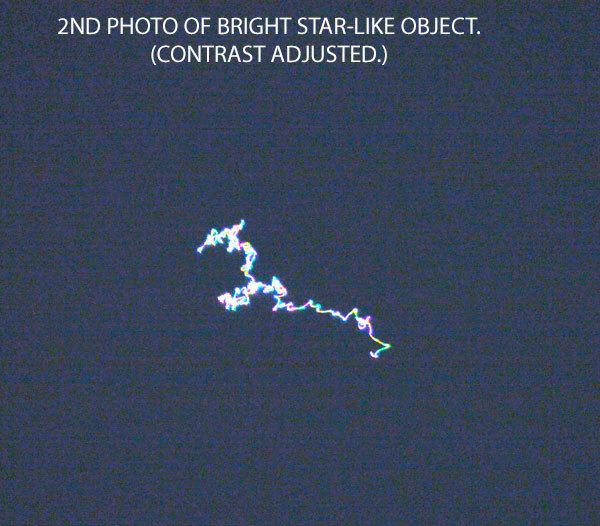 At approximately 8:12 PM on the night of Jan. 2nd, 2012 I saw a slow moving object (to clarify it was a long carrot shaped object followed at the rear by a round ball approximately the same size as the front end of the main object) the coloring was luminescent white. It was moving west to east at a very low altitude at approximately a 60 degree angle. I live in Mt Vernon, Oregon and before I could go into the house to get my camera it disappeared behind the mountain range around Mt Vernon. Also of note it was a clear evening. New site looks nice, but I still prefer the main page efficiency of old site with all the reports plus photos and video ready to go at a glance for several sightings in a long list. I feel this is what set your site way ahead of the rest. I cannot find all the old sighting reports 2011, 2010 and older using Firefox. I realize that I have sacrificed some user efficiency for ease of posting. The “old” method was taking too much time and many reports went unposted. More reports will be displayed with this new format. Currently only reports that I have received since late December of 2011 are posted on this blog. I hope to include links to older cases if time permits. Where do I go to find the most recent sighting reports besides the five provided on the left side of the home page? Very sophisticated new look. Yours is one of my favorite sites. I appreciate your excellent reference section. You seem to give excerpts of the witness accounts. Is it possible to view the full story? Also, are you interested in local investigators to follow up on reports? Hey William I like the new look. Good job. Outstanding web site, well organized with lots of information. I check it daily. Keep up the great work! Wonderful issues altogether. You just gained a new reader. What may you suggest in regards to your submit that you just made some days in the past? Any positive? Great New look. An excellent start for 2012. Looks like the site will need a user friendly search by month, location, year and such please. This site is set up to search by location, state, and date. Just click on the sighting reports button. When I made my daily check of your site I was at first dismayed by the change. I really enjoyed popping in and seeing the new reports right there. However, after doing some looking around I think I’m sold on the new look. Great job and keep up the good work. Web site looks great. I go to this site every day and have found some wonderful sighting information. Thanks for all your hard work and dedication. The new format looks great and is so much easier to navigate. My only problem is with the longer case comments where the lack of paragraphs to break up the text makes it very difficult to read and comprehend. I love the new look of your website. Great change! Mostly love the new look. Still prefer site map that shows close definition. Example: showing where a sighting took place in Minnesota or Michigan, I don’t need to see the surrounding 15 states, I roughly know these states are in the midwest. Liked the old maps better, they showed local nearby towns and cities. The maps on these reports are functional Google maps. You can zoom in or zoom out. You can also change the background. Hi! Your new website is nice looking! I did try to get into the x-files part, but it was empty so you probably are still working on it. I think this will be nice once its all up and running. I have enjoyed your website for over a year now and its amazing how much people see and all the stuff that is going on. Keep up the good work! Yes, the Xfiles page is empty. As time permits I will be converting more pages to the new site. I’m interested in recent abduction stories but have not been able to access any here beyond the first two. Is this a glitch you will be able to resolve? I have much information to transfer to the new site. This process will take time. Very nice format, clean looking, appears to be user friendly. Much improved over previous setup. Text is crisp and sharp – colors intense and vivid. Thanks and good luck. Video Shows Unknown Dark Object Fly by Helicopter.